I’m currently working on creating a chore and curriculum chart for the next couple of months. The kids are old enough that they need to do some more cleaning and pitch in a little more – but I want to do something a little different and reward them once a week for doing so. I intend to take them on an adventure like the zoo, beach, waterpark – and whatever else I decide – sometimes planned and sometimes spontaneous. 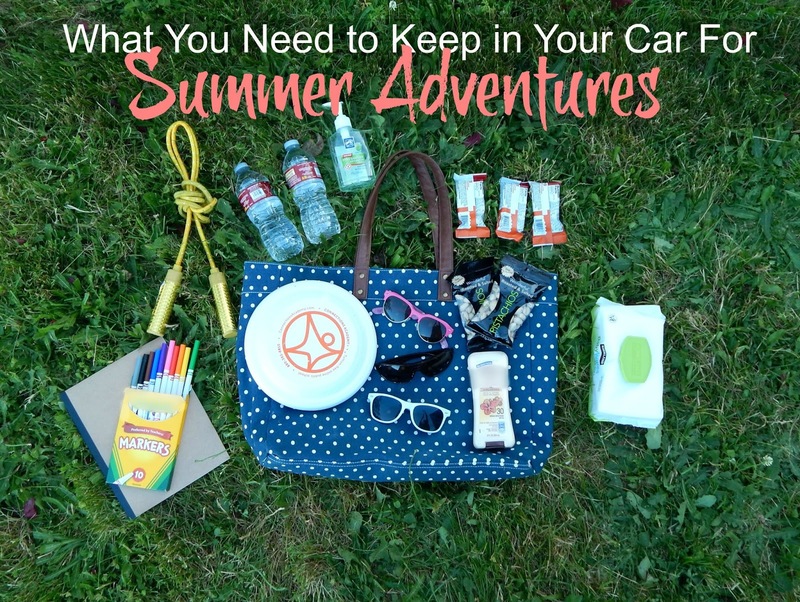 There’s one thing that I’ll do to make sure that all of our summer adventures are fun and easy: keep certain things in our car so we are prepared for any kind of adventure that comes our way. If you’ve ever been on any length of road trip with kids you know how important it is to keep your car stocked with certain things, things that make your adventures just a little easier than extra pit stops or bored kids. 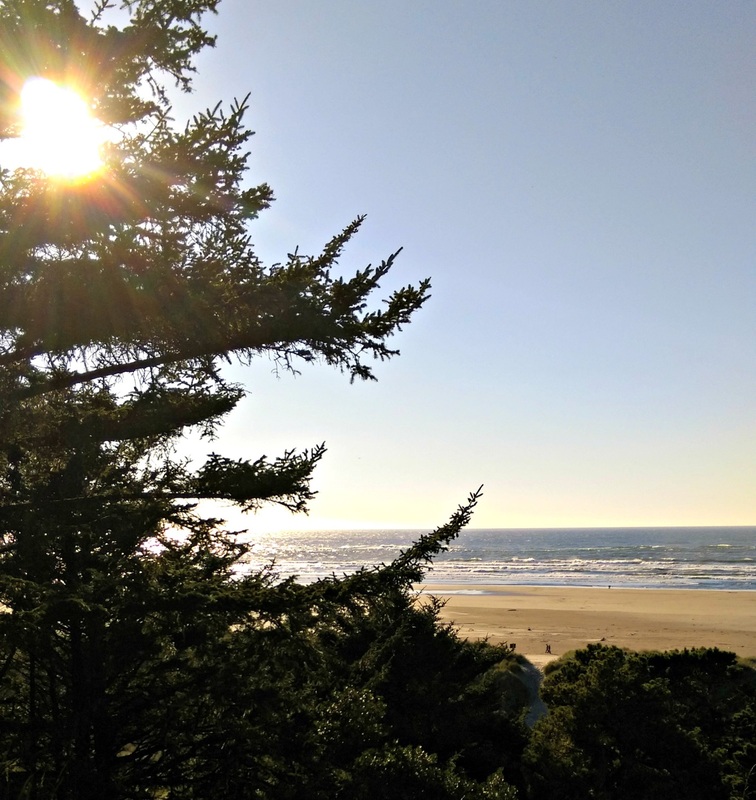 In the summertime there are a few extra things you can keep in your car for outdoor adventures and day trips – so you don’t have to do anything but jump in the car and go! Don’t know what you should pack? 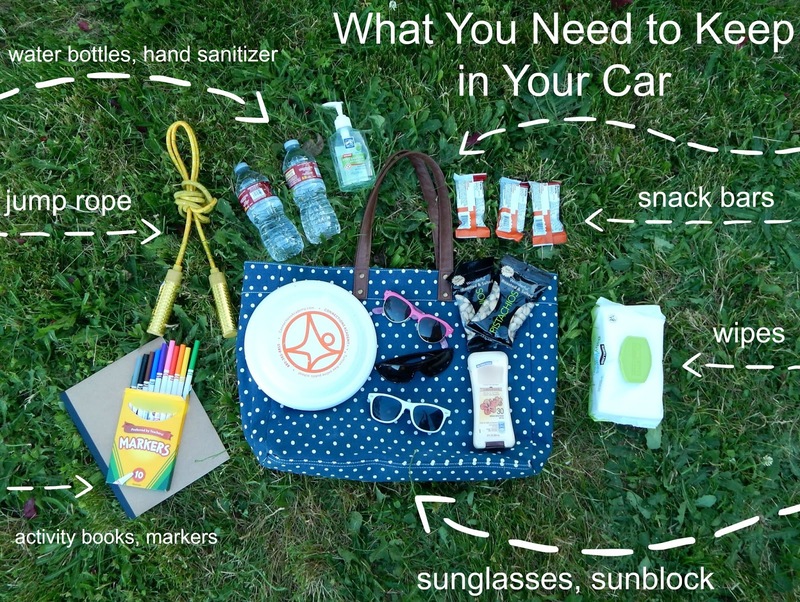 Here’s a list to get your car ready for summertime adventures! · Water bottles – Because it’s always good to have water with you. · Protein bars // dried fruit // nuts – Because kids will always be looking for a snack – make sure whatever you keep in the car won’t melt –No chocolate!! Keep it minimal with lots of nuts and dried fruit that can last longer. · Hand sanitizer – Because everyone needs to sanitize after snacks or adventures. · Hand wipes – You will need them. I promise. · Activity books – So you don’t hear those dreaded ‘I’m bored’ words. 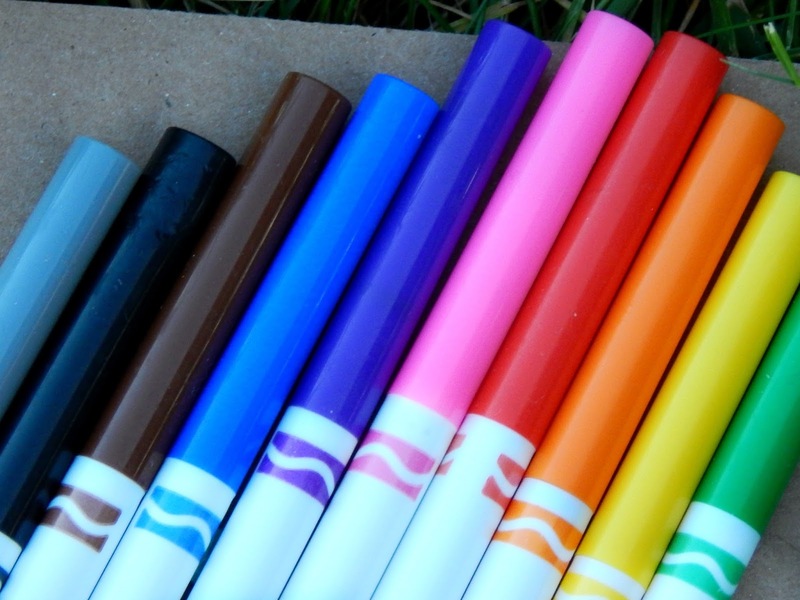 · Colored markers + paper – Again, got to keep the kids entertained. Just make sure they are washable markers, or use crayons or colored pencils. 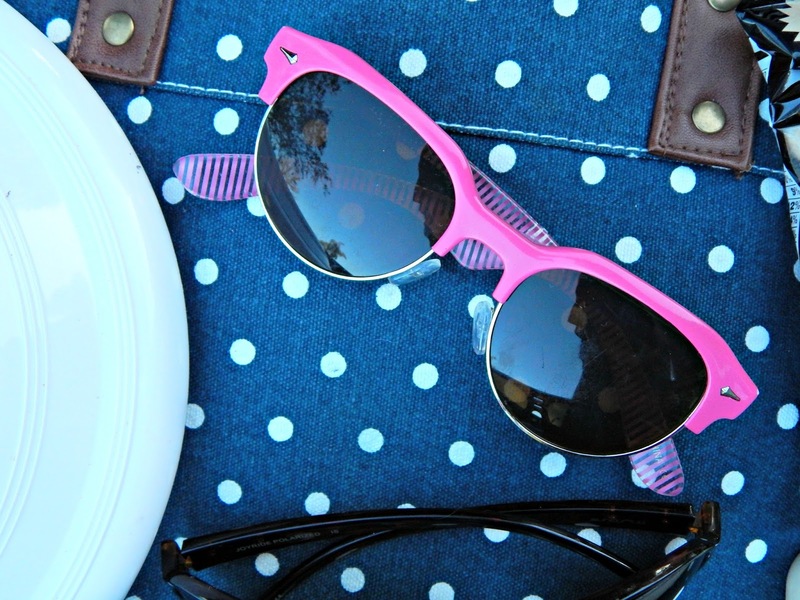 · Sunglasses – I never forget to bring my glasses along, but the kids frequently do. Or one of them loses a pair. Keep some backups in the car. Bandages – Just in case. · Bubbles – Not for in the car, but for extra outdoor fun. 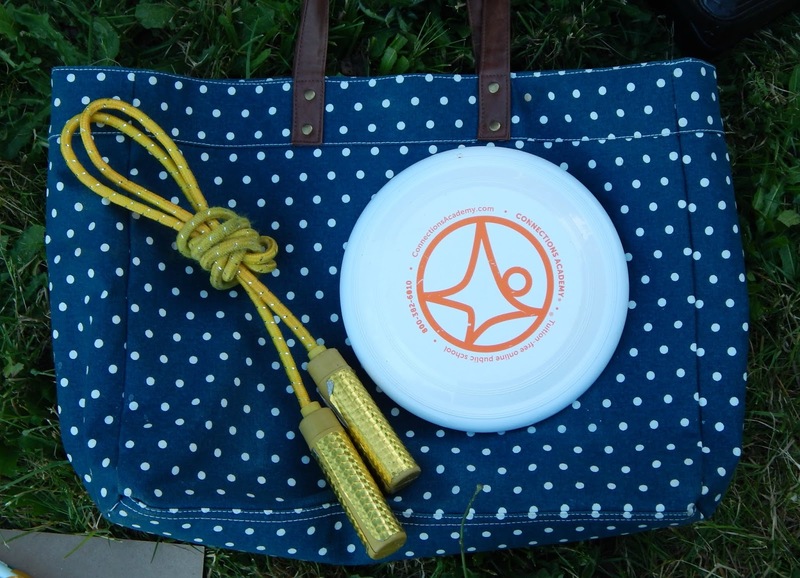 · Outdoor toys – Again, something fun to have for a family game if you decide to go to a park or the beach. · Jump Rope – A jump rope is a must! Take it out and let them get some energy out! Of course no family road trip or adventure can happen without a great vehicle and the 2015 Chevy Traverse most certainly falls into that category! With seating for up to 8*, best-in-class maximum cargo space, and a 5-star Overall Vehicle Score for safety**, it’s a really nice midsize SUV option for active families. My first large purchase ever was in 2004 and it was a brand new Chevrolet! It was one of the best cars I had and I love the idea of having a good midsize SUV for the 5 of us. 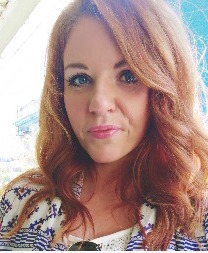 So now I’ve shared some of my summer plans and tips – do you have any to add? 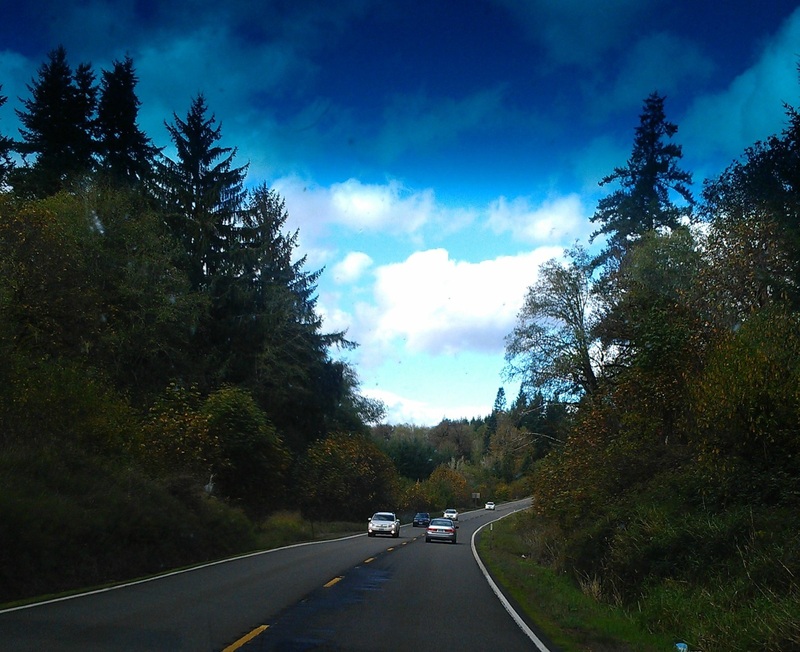 If there was one thing that you couldn’t live without in your car for day adventures what would that be? available in Ebony/Saddle Up interior color. ** Government 5-Star Safety Ratings are part of the U.S.
Department of Transportation’s New Car Assessment Program. (www.SaferCar.gov) .